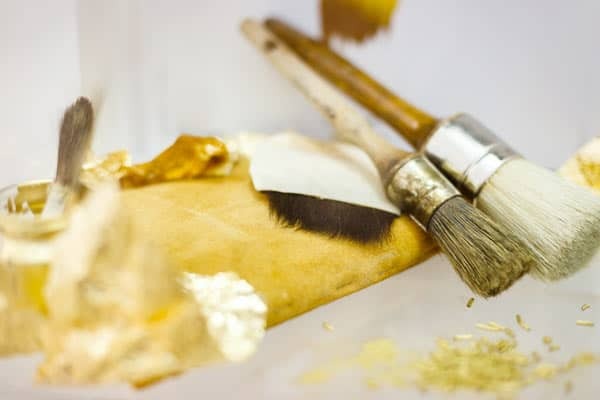 We take tarnished, damaged or aged frames and carefully restore them, ensuring they provide the correct structural support for a canvas and complement the artwork perfectly too. Frames can become worn and cracks in the finish may appear which can cause the frame and artwork to be at risk from further accidental damage. Antique frames often have complex ornate surfaces which collect dust and other surface contaminants such as soot from open fires and candles. We can remove these by surface cleaning. We can repair cracks by filling and stabilising. 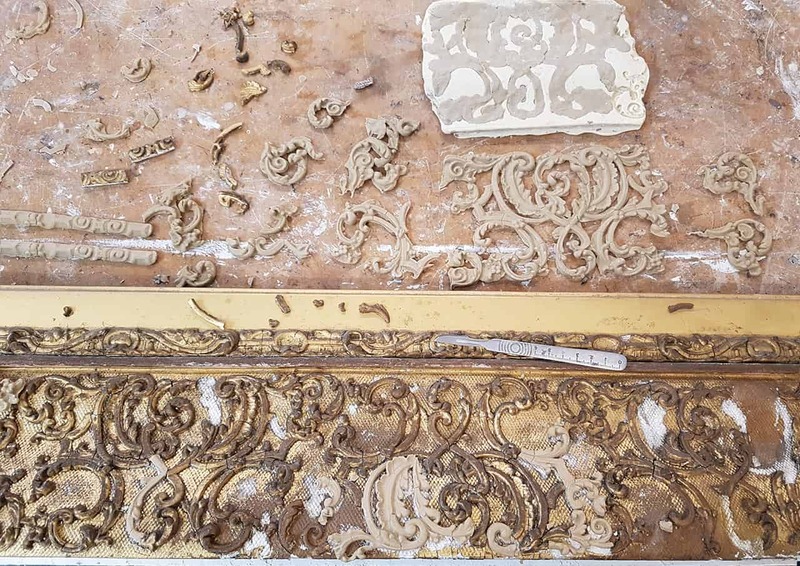 For decorative areas that have been broken or lost, we can remould or carve with specialist materials such as gesso, wood and coloured clay. These filled areas can then be colour matched and patinated to complement the surrounding frame. Alternatively, we can supply new frames to suit the age and style of your artwork. Your aged or damaged antique painting may also benefit from our gilt frame restoration service. The centuries-old process of applying gold, and also silver leaf, can be applied to frames for an ornate finish. 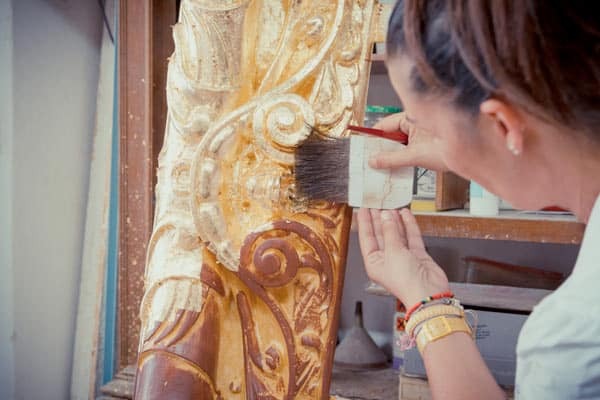 Lost or damaged areas of gold leaf can be regilded in the studio using 23.5 carat leaf, which is then aged and patinated to match the surrounding frame. Old picture frames often contain backing and mount boards that have a high level of acid. This acid transfers from the boards to the artwork causing it to discolour and degrade. The materials can be safely removed in the studio and replaced with acid free conservation grade boards that protect the artwork and prevent any further damage. Broken and missing glass can be replaced with UV glass, Tru Vue Museum Glass ®, or for historical integrity traditional crown glass can be provided.